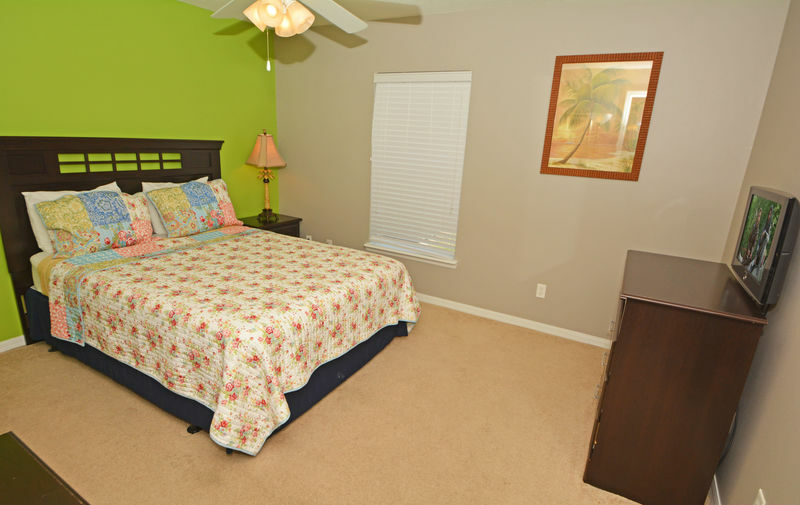 This is a very pretty, one level villa that has been recently been completely retiled throughout the living areas and has got new bedding and accessories. 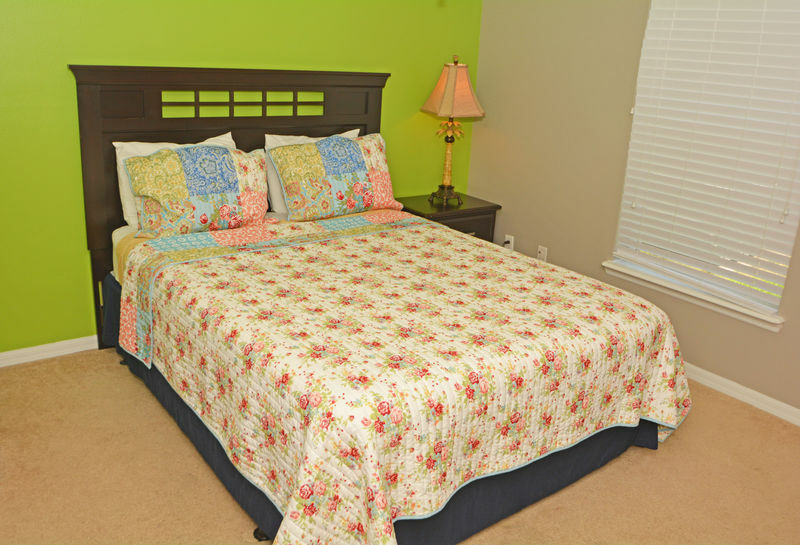 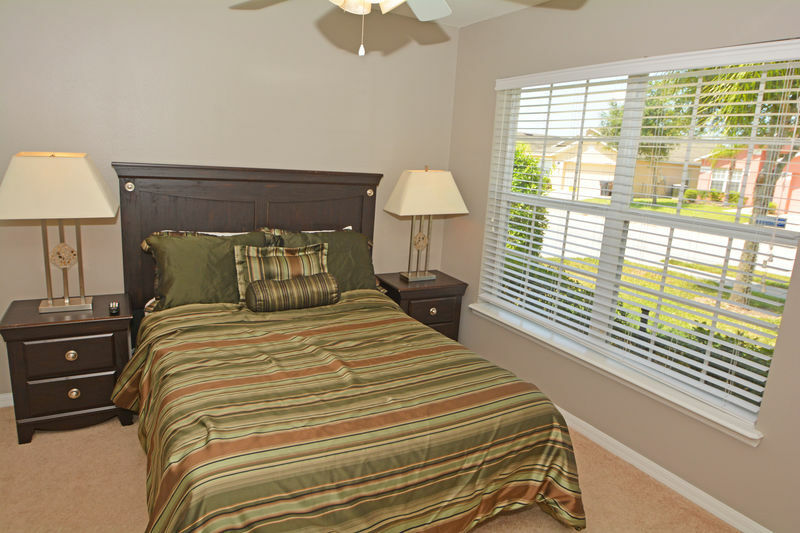 There are 5 bedrooms and 3 bathrooms, of which there are two master suites. 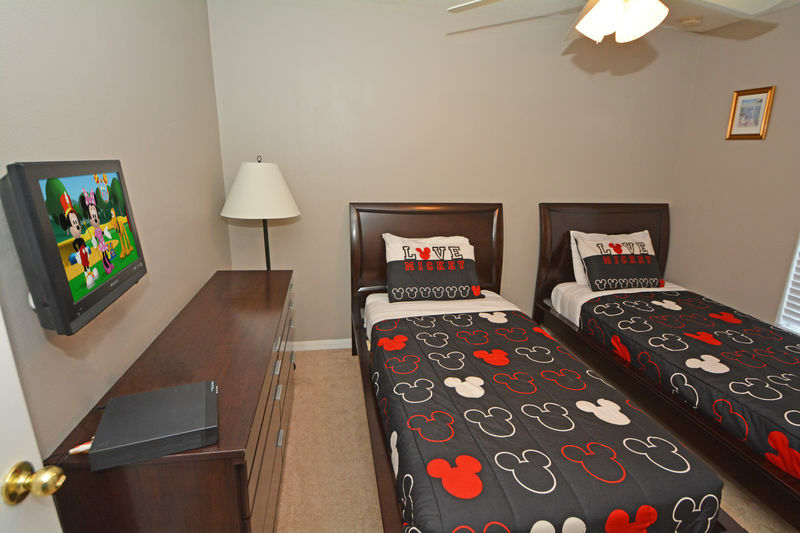 The first has a king size bed, flatscreen TV, walk in closet and en-suite bathroom with shower, twin basins and WC. 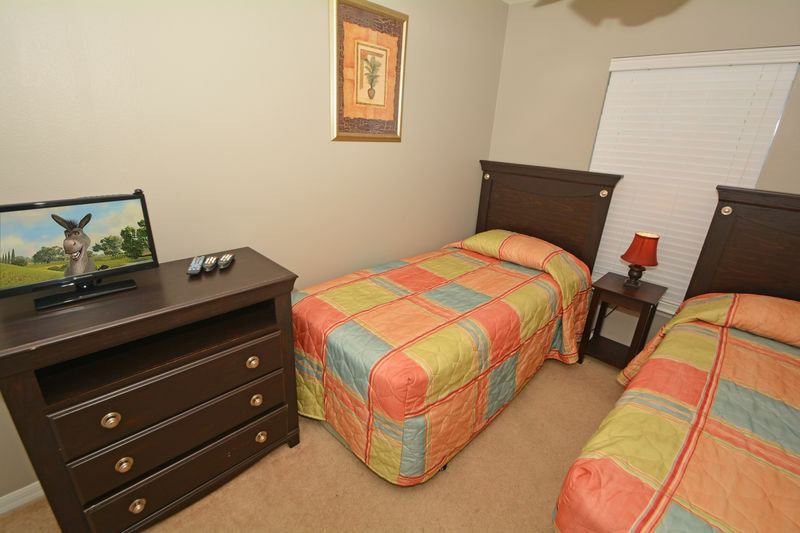 The second master has a queen bed, single closet, flatscreen TV and en-suite bathroom with shower, single closet and WC. 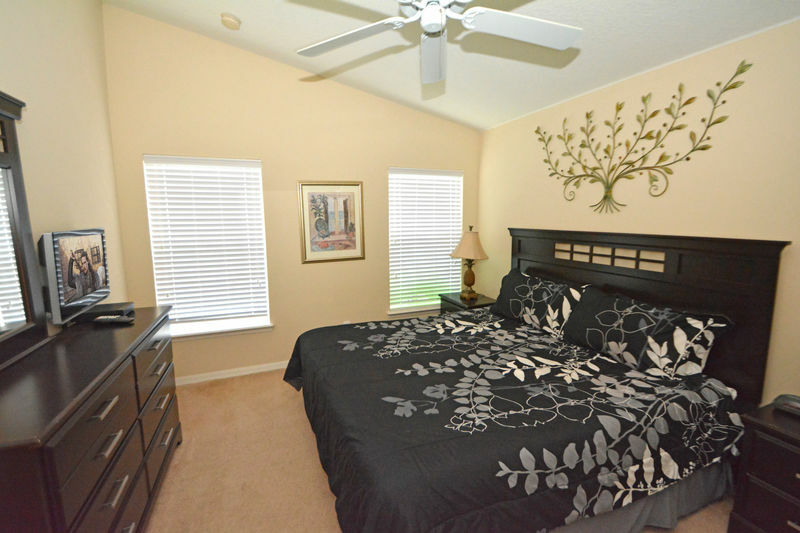 Bedroom 3 has full bed and single closet. 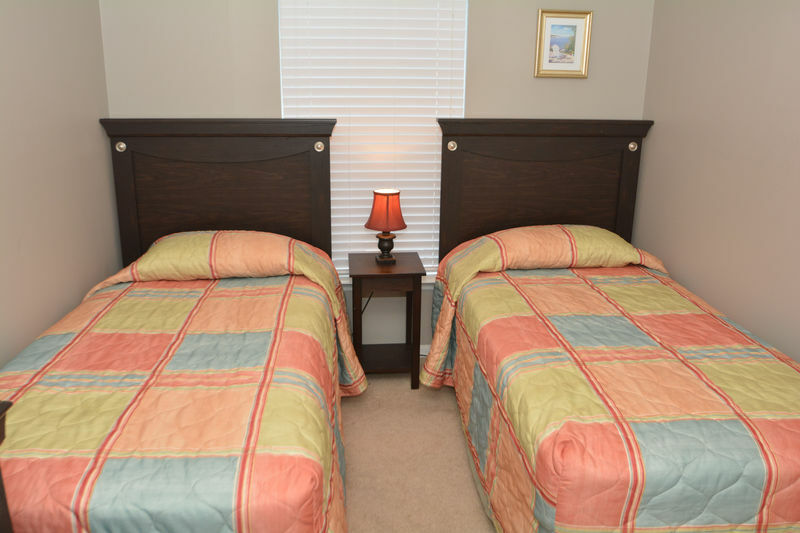 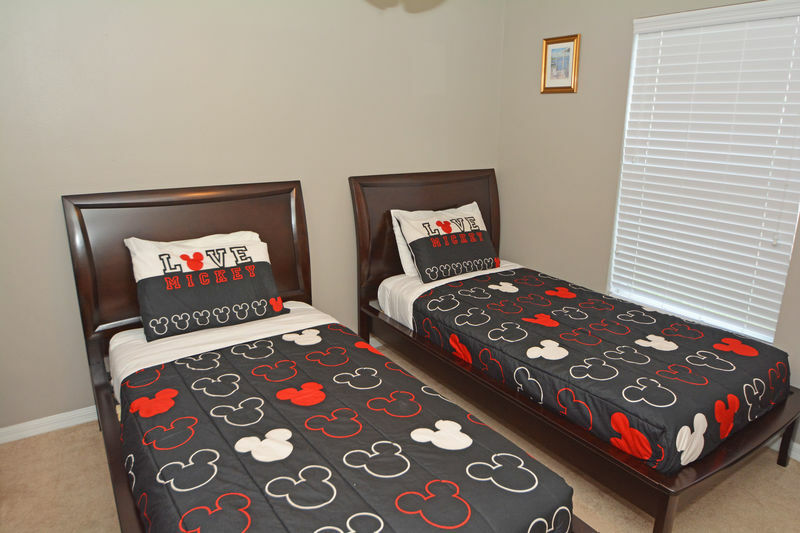 Bedrooms 4 and 5 have twin beds, closet and flatscreen TV. 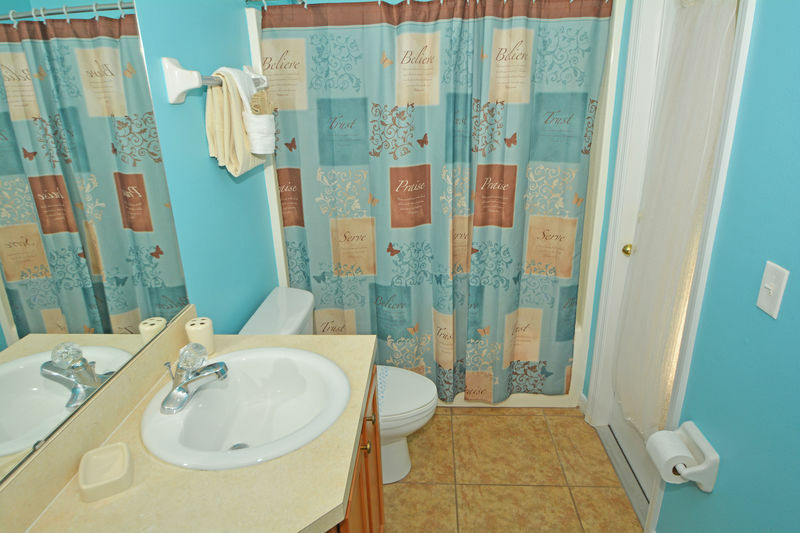 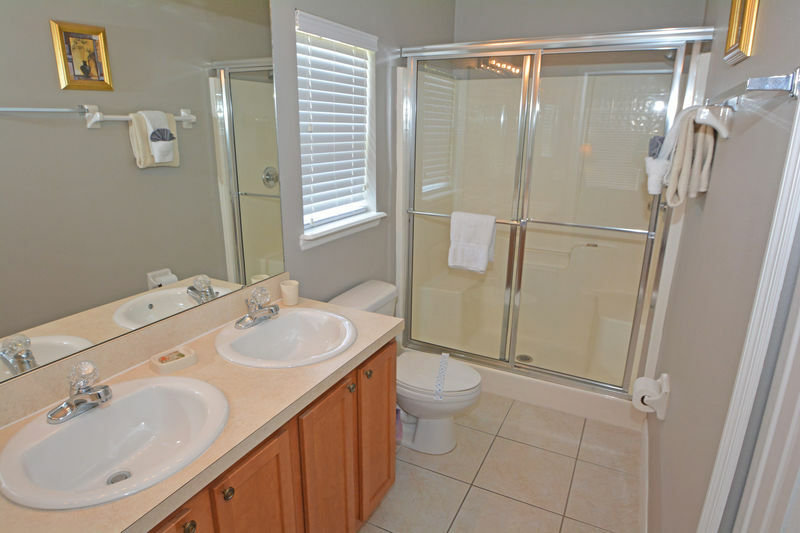 There is a further family bathroom with bath/shower, basin and WC. 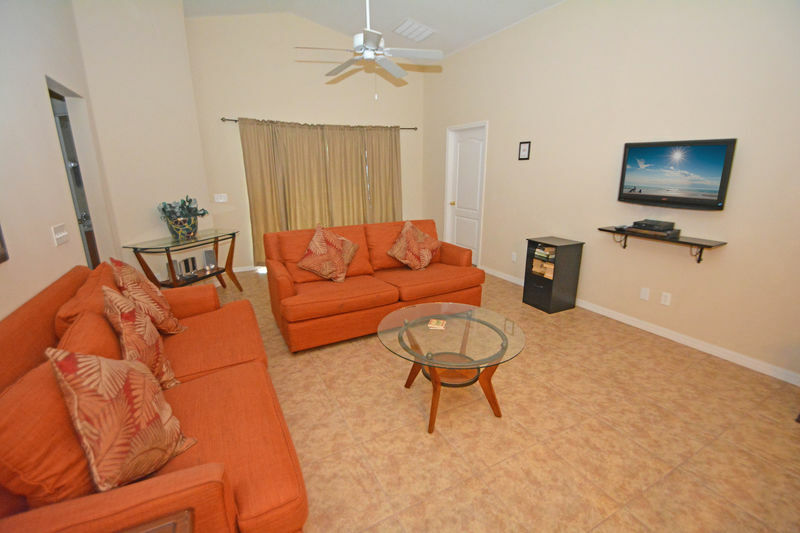 The main area of the house is open plan and features a family seating area with comfortable plush sofas, wall mounted flatscreen TV, DVD player, cable TV, radio/CD player and patio doors to pool area. 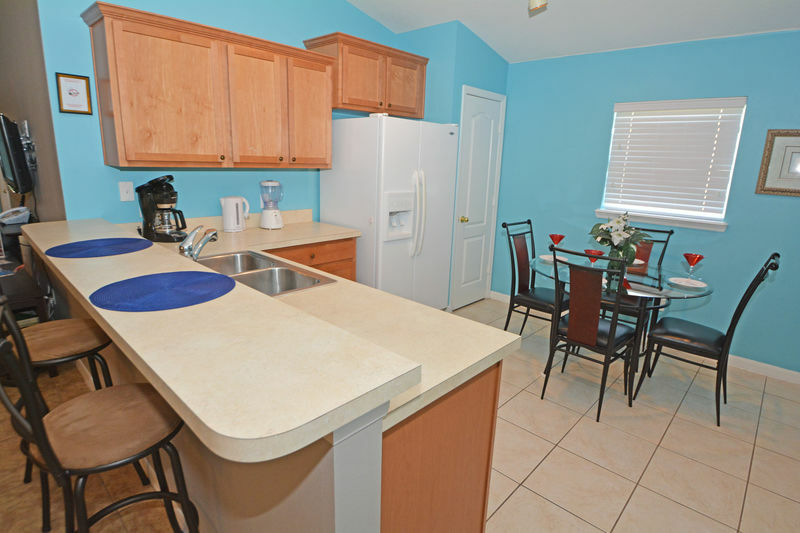 There is a dining area with table seating 6, fully equipped kitchen with electric oven/hob, microwave, dishwasher, double sink with disposal unit, large American fridge/freezer with water/ice dispenser, small pantry, breakfast table seating 4 and bar seating for 2. 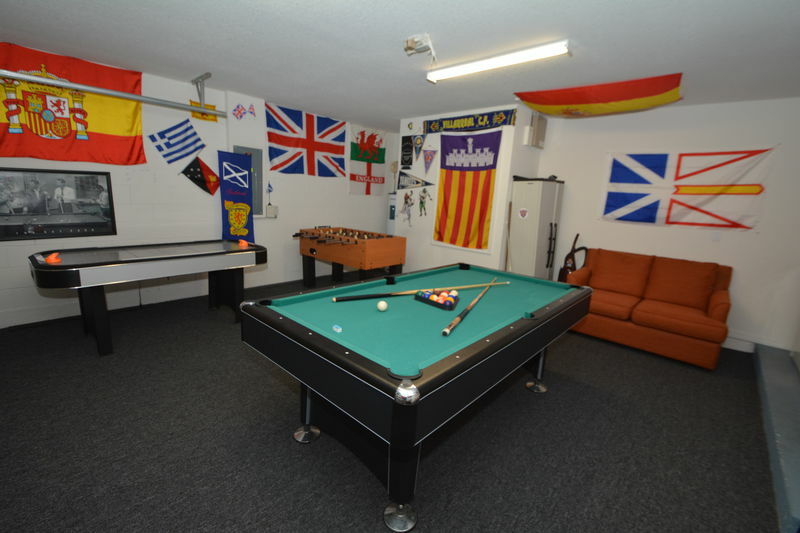 The garage has been converted to a bright flag decorated, carpeted games room and has a pool table, air hockey, table football and 2 seater sofa. 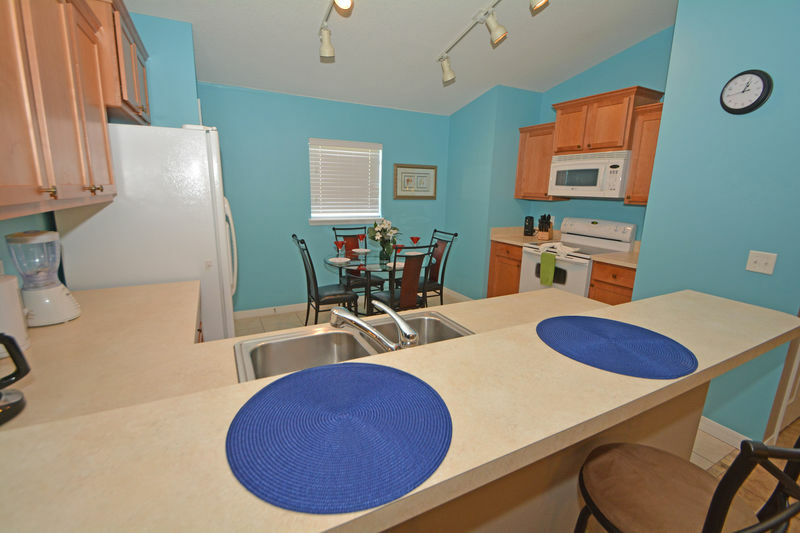 There is also a washer and a dryer in the garage/games room. 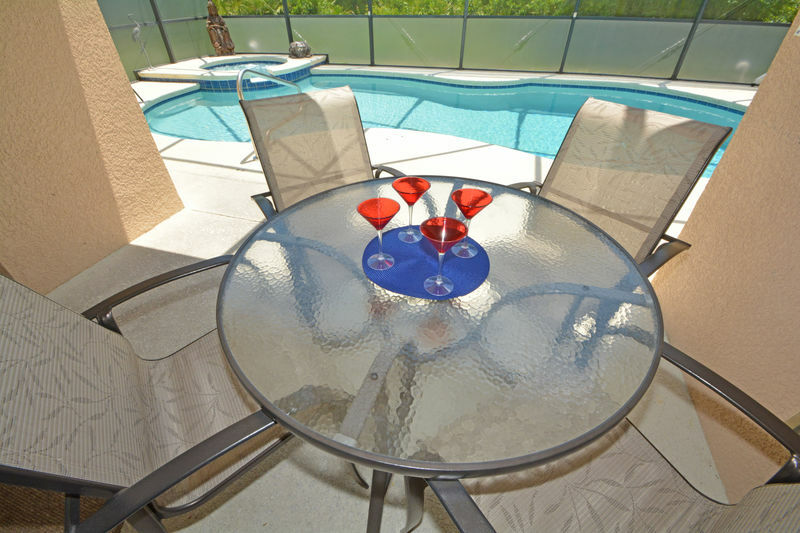 Outside there is a fully screened in pool and spa with sun bathing deck and 2 loungers. 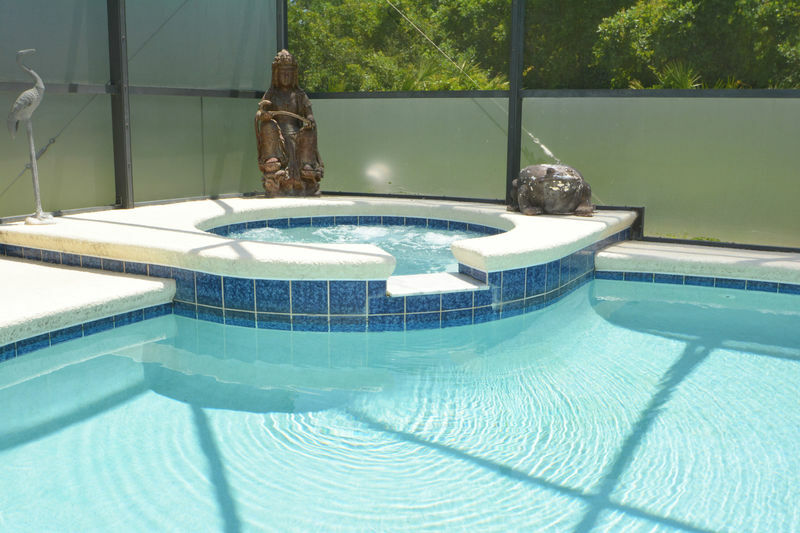 There is a small shaded area with table seating 4 and the entire pool area has complete privacy with Florida screening on both sides of the pool screen and the rear of the property opens up onto lush conservation. 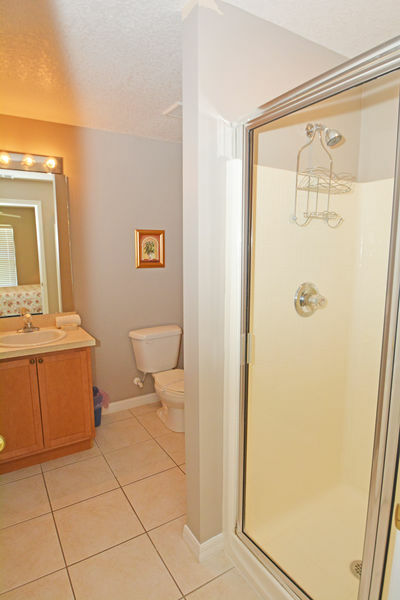 At the front there is off street parking for 2 cars and free WIFI is provided for your use. 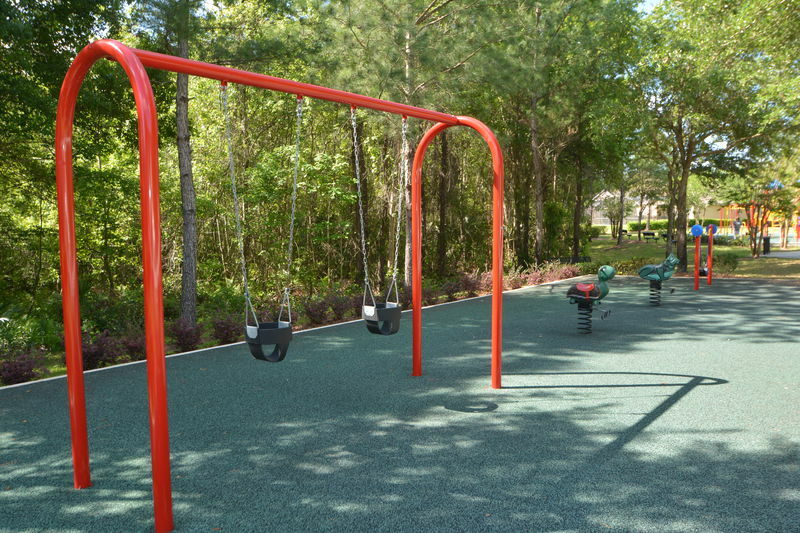 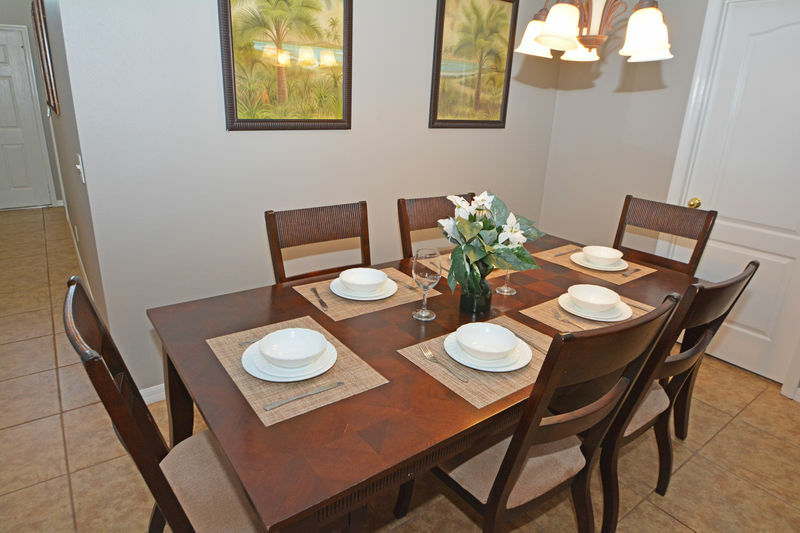 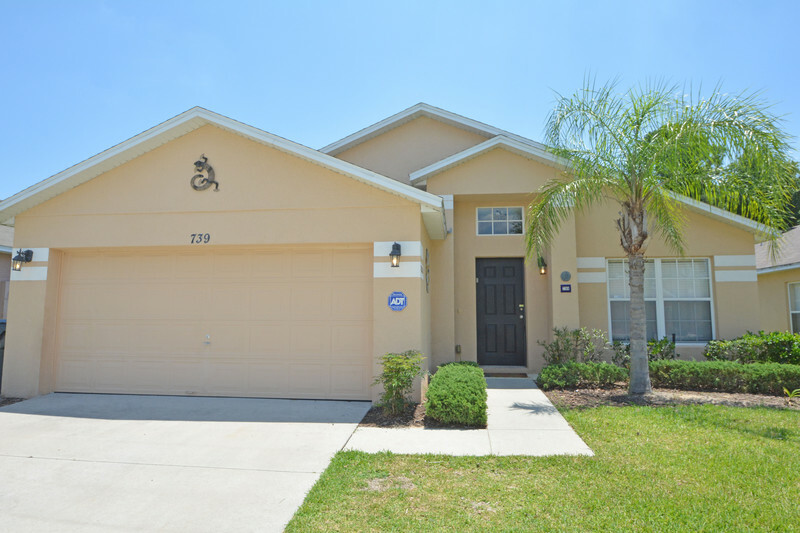 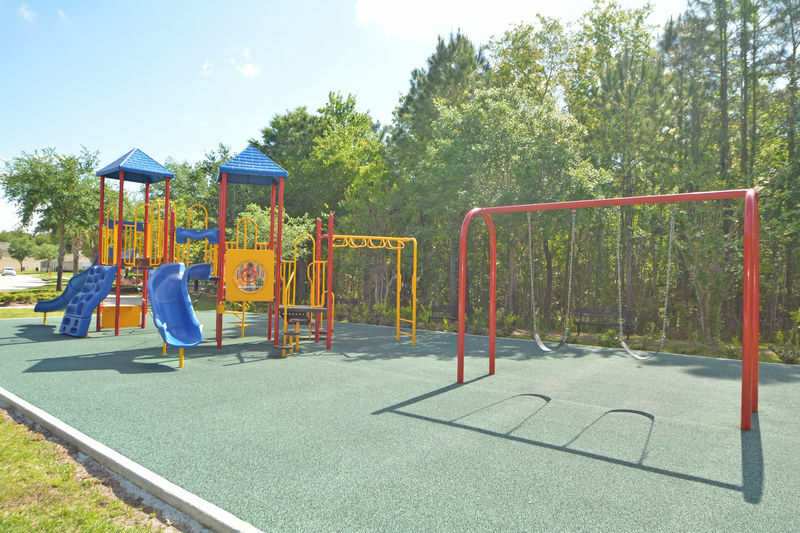 There is a grocery store and restaurants within 5 minutes drive and the Disney attractions are easily accessible via Interstate 4 and are only 15 minutes away.